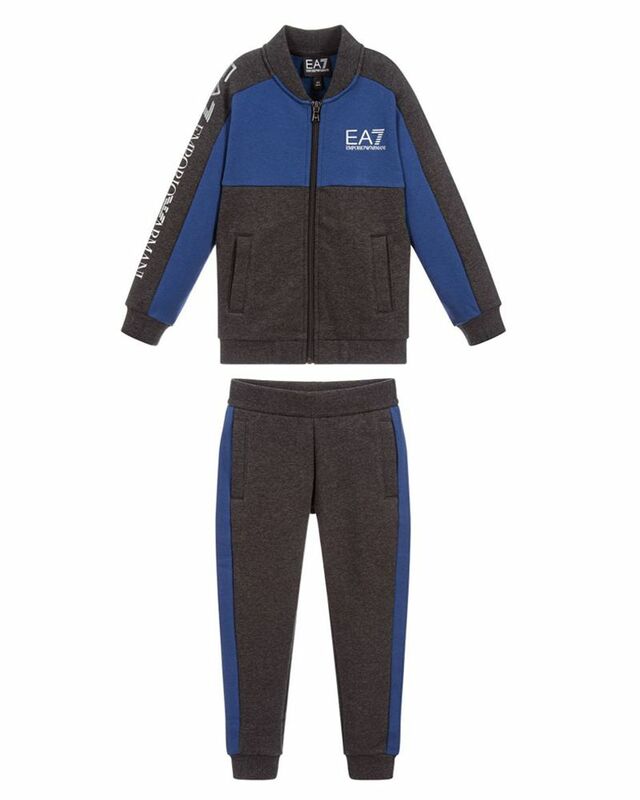 EA7 Emporio Armani soft cotton two piece grey & blue jogging suit with logo detailing on jacket and joggers. 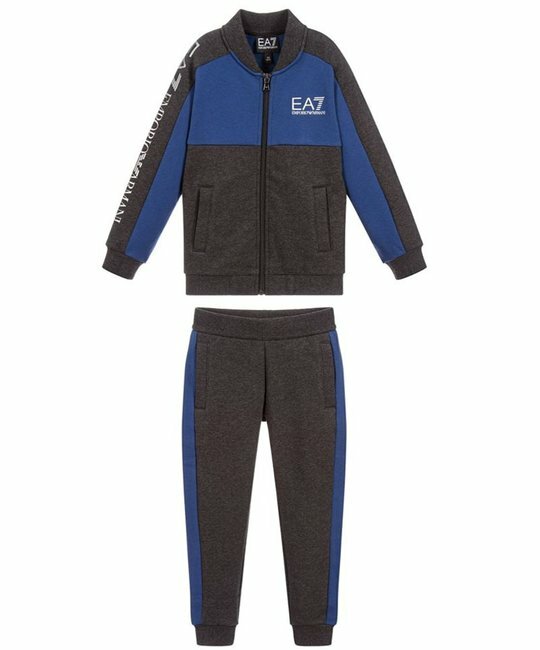 84% Cotton, 16% Polyester. Imported.